Published on June 28, 2017 in General T&T and Media. 17 Comments Tags: Guardian, Mario Sabga-Aboud. PM: Are we perpetuating a mindset of entitlement? Published on August 1, 2016 in Africa, General T&T, Media, PNM and Politics. 22 Comments Tags: Africa, African, Emancipation, Guardian, Keith Rowley, T&T Govt. In the new pages of history currently being written in T&T, questions that arise include whether people are facilitating new prejudices and divisions in T&T’s society and also, if a mindset of entitlement is being perpetuated, says Prime Minister Dr Keith Rowley. Published on July 14, 2016 in General T&T, Media, PNM, Politics, Racism Watch and UNC. 44 Comments Tags: Guardian, Patrick Manning, Politics, Sat Maharaj, SDMS. In a harsh assessment totally out of step with laudatory ones heaped on Manning in the week between his death and his burial, Maharaj said he and several members of the public came to that conclusion on a talk show programme on Radio Jaagriti on Tuesday, based on a series of discriminatory practices Manning perpetuated against Indians in T&T while he served as PM. Published on May 23, 2016 in Gender, General T&T, Law, Media, PNM, Politics and Religion. 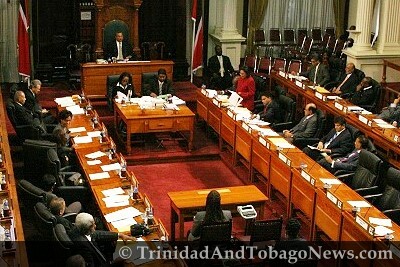 39 Comments Tags: Child Bride, Guardian, Politics, T&T Govt. As the debate rages on over laws on child marriage, there is scepticism from an elderly woman who was married at the age of nine, before there were even any marriage laws in this country. Today Dularie Baboonie Kanhai says she had no regrets about her marriage, she and her husband had a good life which produced ten children and a happy home. But she is sceptical whether young people now have the stamina and the mindset to get married at that age.